...but had no thumb-stopping way of reaching people in their social feeds. To bring the joy of flying Alaska to life in this space, I helped lead the Epic Signal team in directing talent and capturing over 200 unique pieces of video content alongside the brand shoot. Here are a few of my favorites turned into GIFs. Those video clips were then turned into Instagram Stories that could be refreshed throughout the year for different campaigns. 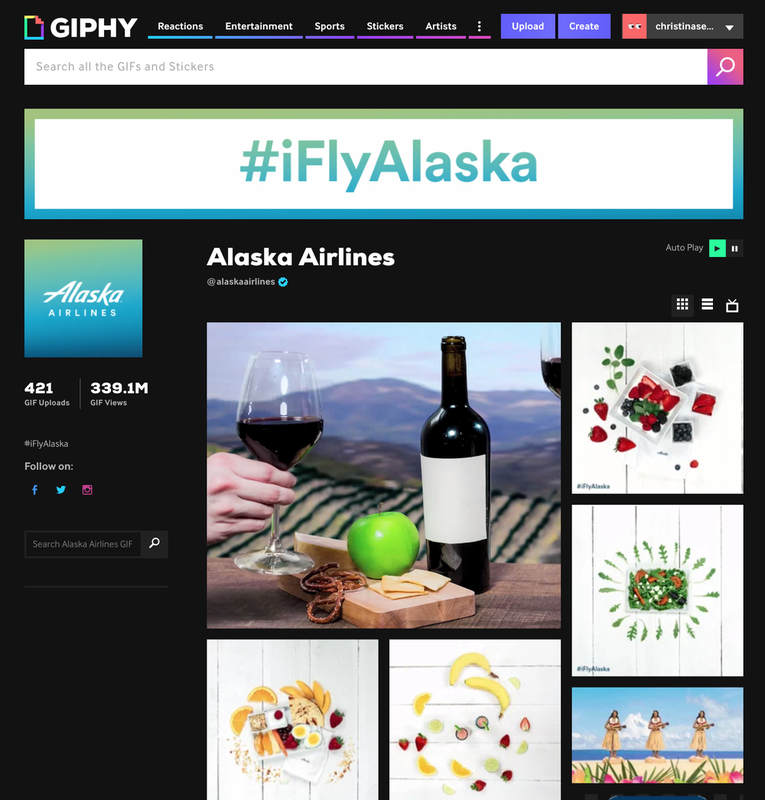 All the GIFs we created became the perfect catalyst to launch a first for Alaska Airlines - their very own GIPHY page. Strategically launched over Thanksgiving of 2017, the page quickly gained traction and currently has over 300MM views.